I created marble run RBS 065 for a very specific purpose, for Casey Neistat who has inspired me greatly. And he very generously featured me in one of his Vlogs at the 5:44 mark. Yay! I think they thought it might be a bomb initially! And they called me Stephan or Stefan Jendro - I actually get that a lot. But I'm Steven with a ph. As an artist I am always hoping to inspire others, just as I am inspired by others. The inspiration is always there if you are steadfastly looking for it. 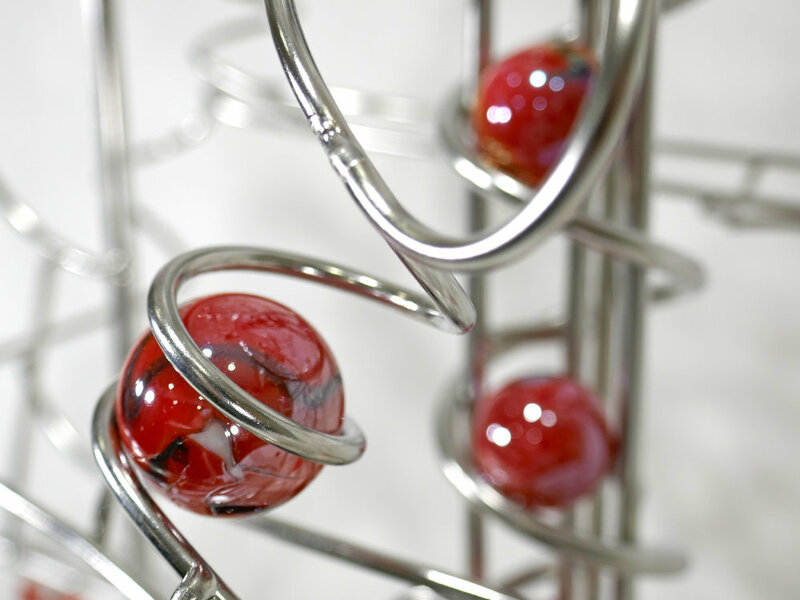 "Inspire" is a smaller motorized screw lift rolling ball sculpture with 1" marbles. 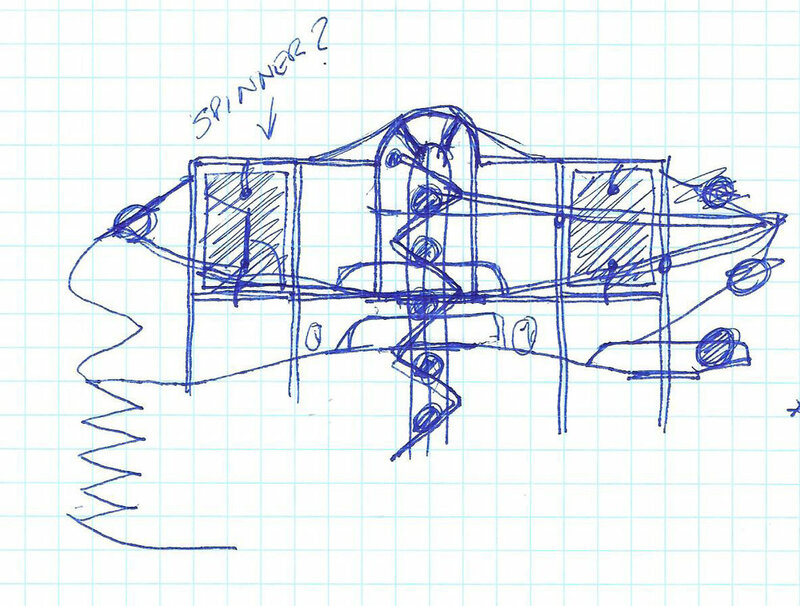 The Archimedes screw lifts the marbles up to the top of the work. 25"H x 24"W x 10"D - Acrylic hand painted panels. Signed, dated and numbered. ~18 - 1" orange/red monarch glass marbles. With 6 Aboriginal dot painted panels and kinetic elements. This rolling ball sculpture is signed "Jendro" in metal on the base, and also signed and numbered and dated on the reverse side of the painted panels. It can be mounted on a wall using the adjustable wall mounts on the sculpture, or it can be set on a table. It is designed to do either. 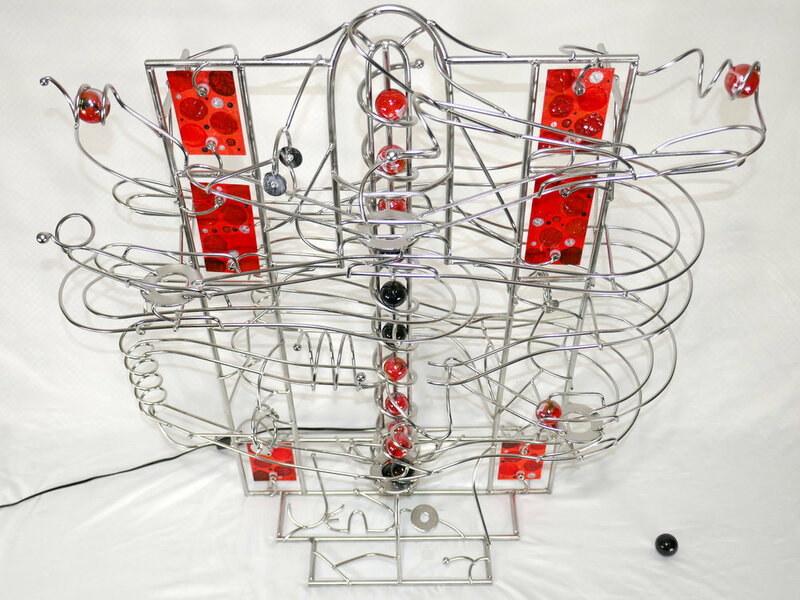 This kinetic sculpture is also designed to survive shipping stresses too.